This material has been inspired by a book published in the 1930s by Joe Church, a missionary in East Africa. 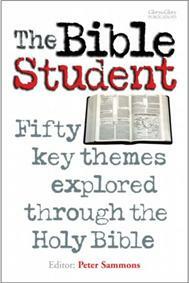 All the material has been thoroughly updated, but the underlying themes and biblical references follow the ideas originally set out by Joe Church. The studies are arranged in separate chapters. You can download each chapter as a PDF file. To save the file to your hard drive right-click the chapter and select Save Target As (this may vary depending on your browser). This is also available as a printed book and Kindle e-book that you can order from our Book Shop section. Chapter 47 - A Chosen People?